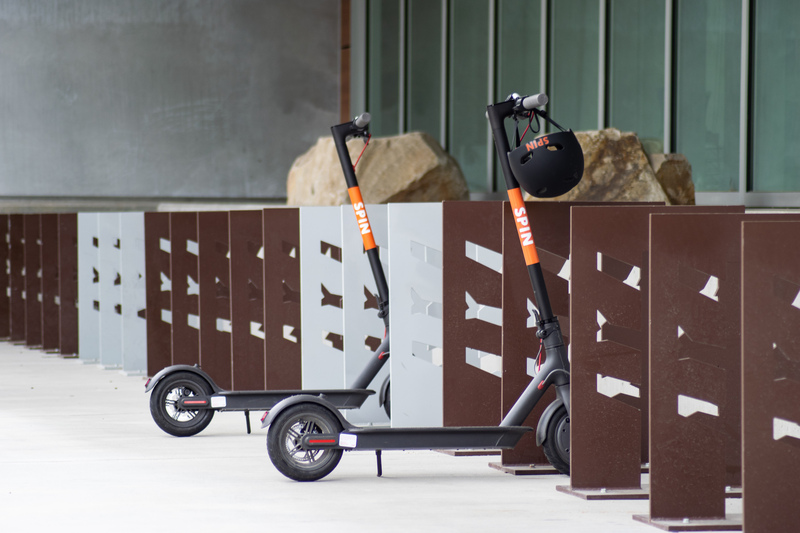 E-scooters and the OEMs – who invented it? 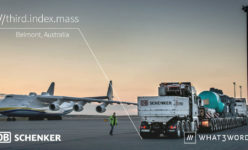 Who is the winner in NEXT-GEN Mobility? A few weeks ago, I noticed a study from 2015. 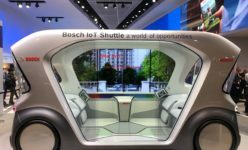 This so-called “Lisbon Study” investigated the possible effects of shared, autonomous mobility in urban traffic. 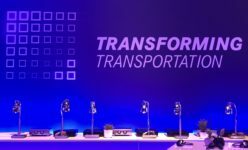 The result is sensational: if Lisbon replaced all cars, buses and taxis with “Mobility as a Service” fleets with autonomous vehicles, CO2 emissions could be reduced by 62%. A complementary survey of Lisbon’s city dwellers underpins the positive attitude on the ground: almost 25% of respondents said that mobility, in whatever form, was more important than owning a car. 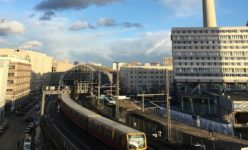 The first results from mobility simulations with data from Lisbon were largely confirmed last year in another study with data and focus group results from Helsinki, Finland. 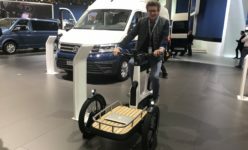 “Replacing private car traffic with new common mobility services in urban areas drastically reduces the number of cars needed, significantly reduces CO2 emissions and frees up large areas for uses other than parking – without making it more difficult for users to get from door to door. 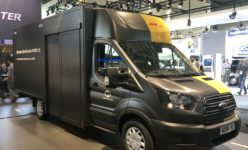 In the simulations, motorised journeys (cars, buses and taxis) were replaced by various configurations of six-seater shared taxis offering door-to-door service on call, as well as taxi buses offering a street corner service booked 30 minutes in advance”. So last weekend I looked at the current situation in Lisbon for myself. Almost 520000 people live in the city. 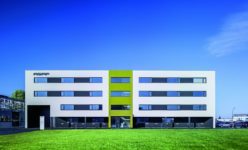 The high rents, low purchasing power and ultimately the extremely poor building fabric in the city centre forced the residents to move to the surrounding suburbs over the last 20 years. Approx. 40000 apartments are no longer habitable in the city centre. During this time, the centre of Lisbon lost about a third of its inhabitants to the surrounding area. Against this backdrop of urban change, the Portuguese capital is threatened with mobility insanity every day. Every working day 450000 cars drive in and out, even though there is a fairly well developed public transport network. So it was high time to take action according to the findings of the study. Upon arrival at the airport, I notice that, in addition to the usual taxi rank, I have access to services from UBER or DriveNow’s sharing service. Even the MyTaxi app, which was recently integrated into the Mobility package during the merger of DriveNow and Car2Go, is available here in Lisbon. Well that’s going well, because the die-hard user of sharing services likes this offer simply from a cost point of view. On my way to the hotel on the wide, majestic Avenida de Libertas I discover the first electric cars. Nissan Leaf and BMW i3 are the dominant brands in Lisbon these days. 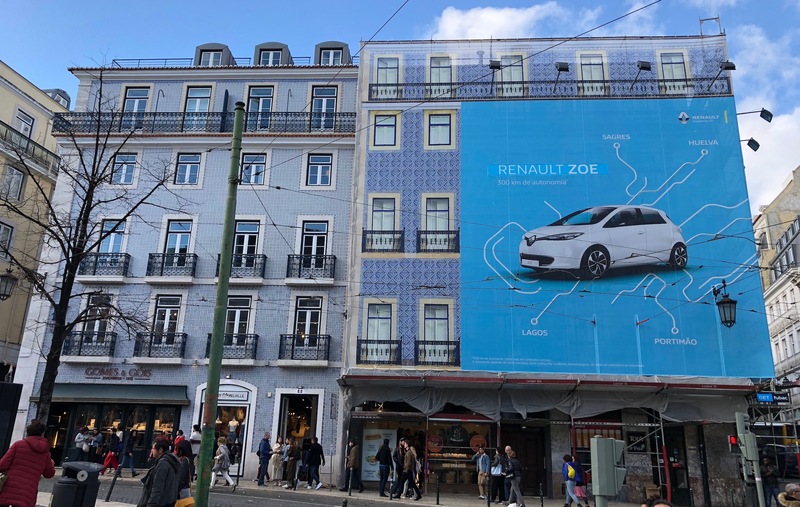 The Renault ZOE’s oversized advertising in the Chiado district shows the French challenger day and night. A few Teslas complete the picture, especially in the wealthy districts close to the city centre. 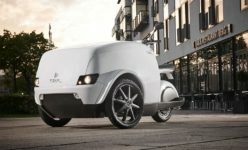 These electric cars integrate into the cityscape as a matter of course. Today, Portugal ranks fourth in the use of photovoltaics among Europe’s countries. There is not much of this here in Lisbon, but I believe my Portuguese guide in the discussion on the role of the energy mix. A country with this number of intense hours of sunshine is predestined to use clean energy for electric cars. For about five years Lisbon has been a real bicycle city, Jose tells me about his experiences. Today there are clean and well-maintained cycle paths through the entire city. They are clearly marked in colour and with characters. Also in front of the pubs on the quay of the harbour basins, which are open to tourists. There are many a piece of glass to the right and left of the path, but the cycle paths themselves are free. Another striking feature is the clear separation of the bicycle lanes from the roads used by cars. Segways, bicycles, e-bikes and pedestrians share the path and form an amazingly natural togetherness. The railway line right next to it transports its passengers not only to the tourist centres in the west of the city, but also to the beaches and suburbs further afield. Even in the hectic city centre with all the winding streets, honking taxis and transverse delivery vans, you can find a lane as a cyclist at any time. A few numbers about the sharing sizes in the city. For UBER currently more than 1000 drivers drive through Lisbon. DriveNow has a fleet of over 200 BMW and mini vehicles in the city. 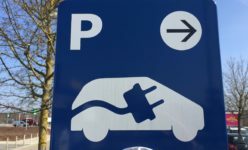 In March, the French PSA Group announced that it would now offer its all-electric Emov car sharing service in Lisbon after Madrid. 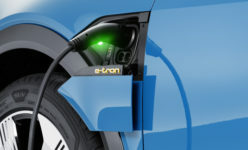 PSA claims to be the first car sharing service in Portugal to operate with an all-electric fleet. 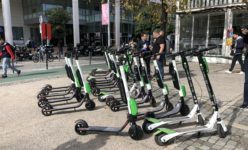 Only a few weeks ago, Ecoolta, an e-scooter sharing service provider, reopened the season in Lisbon. 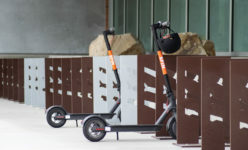 More than 200 electric scooters drive through the city almost all year round. 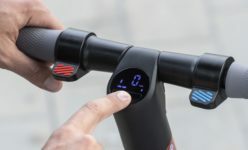 And especially for the many tourists, most of the bike rental companies offer e-bikes. 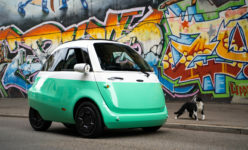 These can also be rented at short notice at several locations in the city. 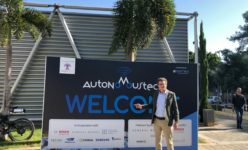 My conclusion: Lisbon has been pulling out various stops in smart mobility for several years. 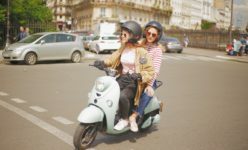 The car and ride sharing offers manage to present an alternative offer to the urban inhabitants and above all to the thousands of tourists. 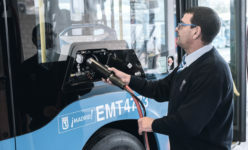 The Portuguese capital is consistently focusing on “Mobility as a Service” offers. This is where Lisbon has made a successful start in the last two years. 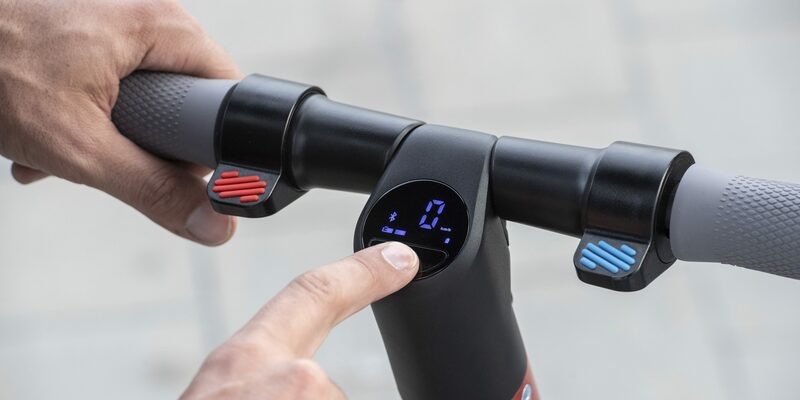 However, the biggest driver of smart mobility in the Portuguese capital is the change to a real bicycle city. Despite the geographically difficult, hilly surroundings of the old town, cycling is fun thanks to the use of electric bikes and generously dimensioned cycle paths. And according to the locals, this is not only true for the many tourists. With these initially smaller individual steps, Lisbon is well on its way to mastering the many vehicles in the city. 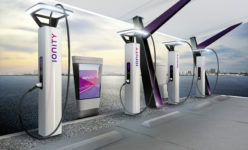 A gradual expansion of the infrastructure of electric charging stations for e-bikes, electric scooters and electric cars will further support this in the coming years. I am interested in solutions for the challenges we face in urban mobility. With 75% of our population forecast to live in urban centres by 2050, we need smart mobility and logistics innovations to survive. Our platform aims to communicate about these global innovations in smart cities around the globe. Yes, send me news directly to my inbox! 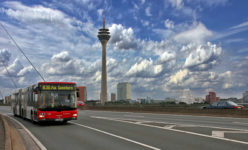 We share solutions for smarter cities. © lastmile.zone 2018. We 💙 smart cities.